Acid reflux occurs when the esophagus rejects the food you consume because the stomach cannot handle the lack of digestive acid. According to mandarinconsulting.com, for unknown reasons, those suffering from acid reflux feel heartburn, which is widely considered the first symptom of acid reflux. Apple cider vinegar and active manuka honey are home remedies you can consume with meals. Neither produce side effects, according to Manukahoneyusa.com. Consult your doctor before doing so. One theory is that the lower esophageal sphincter has a sensitive pH value; this means when food is in the stomach and there is a lack of acid, the lower esophageal sphincter valve can periodically flop open. Apple cider vinegar can help regulate this because its acetic acid and acetate salt solution lowers stomach acidity, since the gastric acid the stomach produces during digestion is full of hydrochloric acid. Apple-cider-vinegar-benefits.com recommends taking 2 to 3 tsp. in an 8-oz. glass of water before meals or whenever heartburn is experienced. Active manuka honey has natural antibiotics that coat, protect and soothe the outer lining of the esophagus. Manukahoneyusa.com states that results are evident within 3 to 6 days and recommends to take 1 tsp. 3 to 4 times per day on a small square inch-sized piece of bread, toast, bagel, slice of banana or piece of apple, 20 to 30 minutes before meals. Do not consume honey alone, because it will dissolve into the bloodstream too quickly and not reach the stomach. Both apple cider vinegar and manuka honey contain antibiotics and can be used long-term. Apple cider vinegar provides the lower esophageal valve with the acid it needs to function and the stomach with a milder acidic environment, and manuka honey treats esophageal damage caused by acid reflux and prevents heartburn, upset stomach and irritable bowel syndrome. Earlier treatment of acid reflux will prevent prolonged esophageal damage called erosive esophagitis, which wears out the inner protective lining of the esophagus. Your doctor may recommend to change your sleep pattern by sleeping on your left side with your head in an elevated position, this will reduce acid reflux and heartburn. Ensure to eat and eat in small portions, lack of nutrition will result in consumption of large meals and could trigger and worsen acid reflux and heartburn. Chew gum after meals is another alternative to consider. According to mandarinconsulting.com, the saliva developed has alkaline properties that can neutralize the acids to some extent and recommends chewing mint flavored gums. For some, natural remedies can prove more beneficial than medication. Your doctor can perform an endoscopy, analyze the severity of esophageal damage, and provide you with the correct method of treatment. 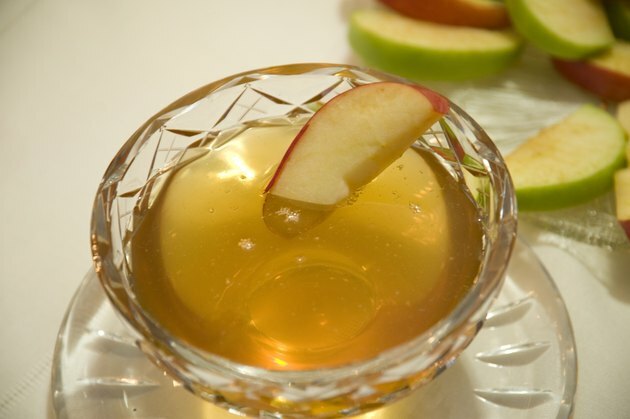 According to apple-cider-vinegar-benefits.com, some medications should be avoided since they may inhibit calcium intake, which can increase the risk of hip breakages in people over 50. Over-the-counter antacids are another alternative medication treatment with less side effects to consider. Some long-term side effects include kidney damage, stomach cramps, abdominal pain, renal stone formation and drug interaction if you are on any other medication. The acidic and basic properties of apple cider vinegar and the antibiotics found in active manuka honey help can regulate the lower esophageal sphincter's function of preventing gastric acid from entering the esophagus. Regular intake of each to treat acid reflux may also improve overall digestion and mineral absorption, according to apple-cider-vinegar-benefits.com. Is a Benefit of Green Tea That It Helps to Reduce Heartburn?